Heart Health: What is Love Anyway? As February fast fades, it’s crazy to realize that we’re already 2 months into 2014! February symbolizes so many things on the calendar, not just Valentine’s Day. In North America it’s also known as the worst month of the year for mental health because of the weather we experience and the affect it has on us. Heart and Stroke associations use this month to focus on the well-being of our physical hearts and our cardiovascular health. It’s interesting that those three things can intertwine and impact us completely: our mind, our emotions and our health. It’s actually a good reminder that to live fully we need to look after all aspects of our lives. With the busyness we are accustomed to, comes the tendency to think imbalance is okay. Truth be told, if one area is out of whack it is inevitable that it will affect all other areas. 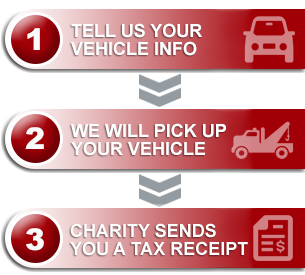 At Donate A Car Canada, our quest is to support you, our donors, in facilitate your giving process through the sale or recycling of your vehicle. With those funds, causes like The Distress Centre, Canadian Mental Health Association, the Heart & Stroke Foundation, women’s shelters and dozens of other charities are helped every month to ensure we and those we love have the best possible chance of leading our best lives – happy, healthy and whole. We never, ever underestimate the value of every dollar raised, and as each year passes we are so grateful for our part in spreading the love across our Nation, to help those who may not otherwise be able to help themselves. As much as we know love isn’t attached to a dollar figure, we do know that dollars make a difference. You may not have a ton of money in the bank, but maybe your car can add value to others by donating it. What is love then? Some say it is the act of giving when you know the other person cannot give in return. Let’s see how that works in making a dent in the world we experience!